Join us for an evening of hands-on education featuring researchers and industry professionals from around the region! 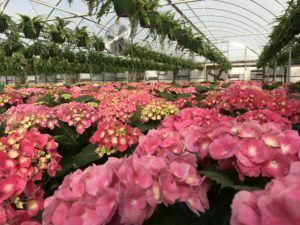 The Western NC Greenhouse Diagnostics Workshop provides the latest information on the production and management of greenhouse-grown ornamental plants, including identification and management of pests and their control. Participants are encouraged to bring plant samples for diagnosis. Participants will receive 2.5 L, N, O, D, and X pesticide credits. Space is limited. Registration deadline is February 4, 2019. Secure your spot by registering with this form. $25 registration fee includes handouts and catered meal.